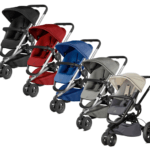 Today I am writing a Quinny Moodd Stroller Review Article for first time mother who want to invest in a perfect travel system. 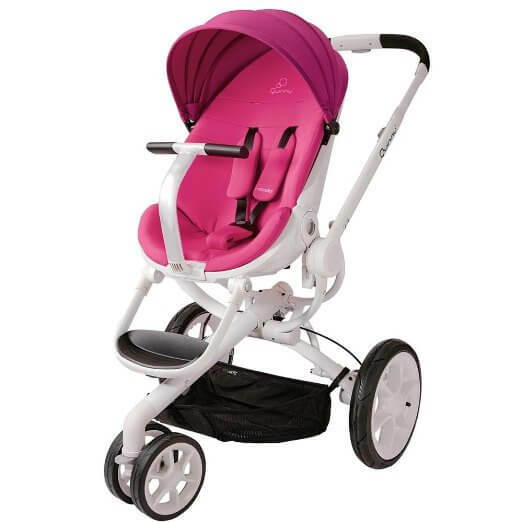 Unlike regular stroller by look it is very different & attractive because of the design & color combination so you can say Quinny Moodd Stroller is stroller with attractive look. 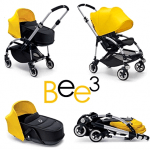 Strong wheels, reversible & one hand recline seat, suitable for infants to toddlers. 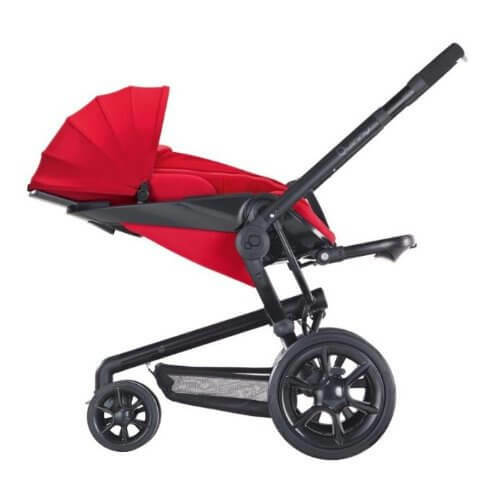 You can turn Quinny Moodd Stroller review into a travel system by removing the seat and replacing it with an infant car seat or turn it into a pram by replacing it with a carrycot/bassinet. 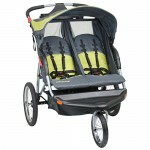 Many more features to know in “Quinny Moodd Stroller review” so let’s take a look. This stroller rolls on three wheels with 12″ air filled wheels in the back and 7″ hard rubber double front wheel. 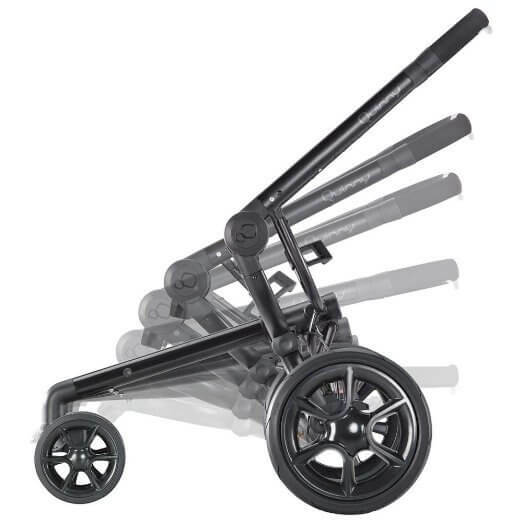 The front wheel is swivel, but can be locked straight for more stability. These wheels will be able to tackle any tough terrain like uneven surface like sand, snow, and grass area & suitable for long walk. It has two foot pedals in the back, one for locking the stroller and one for unlocking it. It very friendly & easy to use. 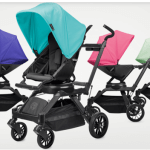 Read More – Best Umbrella Stroller.. The seat is 14″ wide with 21.5″ seat back and a measurement of 24″ from the bottom of the seat to the top of the canopy. 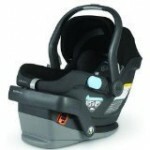 It has a one-hand recline with 3 recline positions can be set according to baby comfort. It can accommodate a child up to 50 lbs. To reverse the seat, pull on the levers on both sides of the seat, lift it up, swing it around and lock it in place. The canopy is not too large but you can say this is a medium size canopy but there is no peek-a-boo window for air circulation. 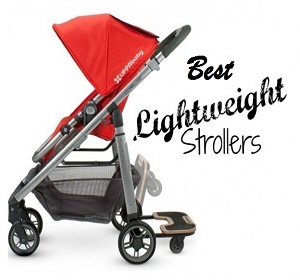 Read More – Best Single Jogging Strollers Under $400.. The handle bar goes from 37″ all the way up to 41″ from the ground up. by pressing the gray button on it you can adjust it according to your comfort. It has 5 point padded adjustable harness for safety & the release button is very easy to lock & unlock. It has adjustable foot rest that goes up and down. It also does NOT extend. It’s a pretty short leg rest that will be ok till your child is about 2 years old. 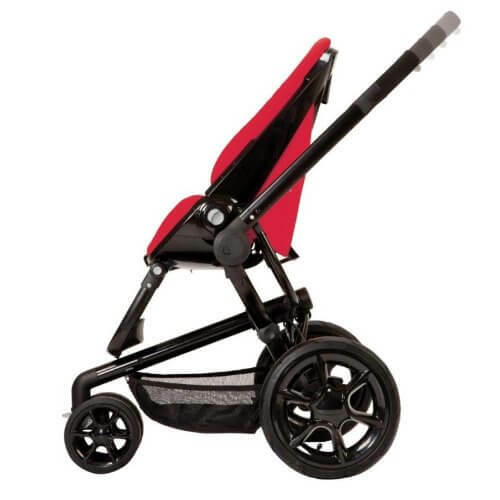 In this “Quinny Moodd Stroller review” you will find one unique looking T-shaped bumper bar unlike other strollers. This bumper bar is removable, but not swings away. So maybe you don’t like it if you comfortable with swing away bumper bar. To fold the stroller make sure the seat is facing out then pulls on two levers on both sides of the frame and push the stroller down until it folds. To make it more compact you can remove the seat and the rear wheels as may be you find it little bulky. 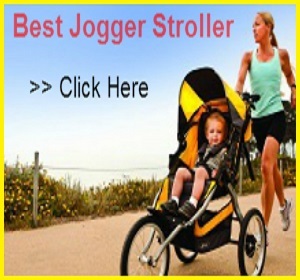 Read More – Best Single Jogging Stroller Under $250.. The basket is quite spacious & easy to access, you can put baby diaper bag & some extra stuff but it is not that much use full for heavy grocery shopping as the weight limit is up to 11 lbs. 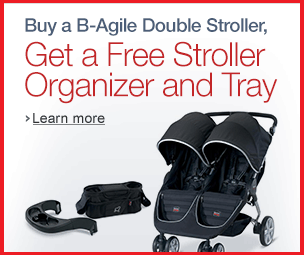 Read More – Best Baby Double Strollers For Twins With Car Seat .. The seat is made out of water and dirt repellent fabric, so it is very easy to clean. It has very beautiful printed design over the frame. 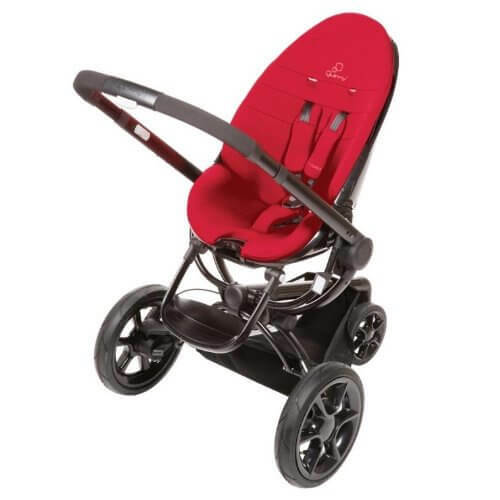 Seat fabric is very soft & cozy which gives your baby extreme comfort.This stroller is available in different colors like pink, black, red grey & blue. In this “Quinny Moodd Stroller review” you may not be happy with some points like there is no cup holder & rain cover included,so you have to buy it separately , for some parents this stroller can be bulky or heavy but over all this stroller is very durable & easy to maintain including good features with reference to seat, wheel, canopy & safety measures . So just go through the review & make a right choice to choose “Quinny Moodd Stroller” & make your baby ride memorable with you.